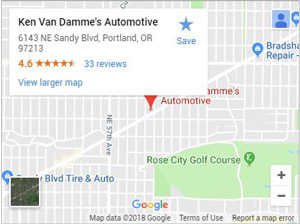 Whether you know you already have trouble with your exhaust system or you need to pass an emissions test Ken Van Damme’s Automotive is a certified DEQ Certified facility, making us uniquely qualified to work on your muffler in Portland. Our car repair mechanics are able to check your emissions and get your exhaust system working safely and up to standard. We also do custom muffler repairs! Your muffler, as part of the exhaust system, is incredibly important to the overall health of your vehicle. When it is not functioning properly, it can cause other expensive damage—not to mention making your car annoyingly loud. 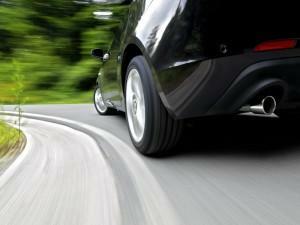 A vehicle’s muffler has the important job of reducing polluting emissions from escaping. Oregon has requirements concerning these emissions; keeping your car’s muffler and emissions in order is not only responsible car ownership, it is the law. In addition to keeping your car up-to-date with environmental laws, a leak in the exhaust is also a safety issue. Carbon monoxide can leak into the cabin of your vehicle, causing you and your passengers to breathe in this life-threatening gas. A malfunctioning muffler, such as a hole, can also create too much heat near the trunk of a car, causing a fire hazard. How do I know when I need muffler repair? You notice a loud rumbling sound when your vehicle is running. You notice a sound like rocks being shaken in a box when your vehicle is idling. You feel a vibration or possibly a loss in power when the car is running. You notice a bad odor while driving. Our reputation for muffler repair in Portland has been built from 20-plus years of making customers happy. Our repeat customers and customer referrals have been a large part of our success. We encourage you to check out our excellent online reviews or ask us for customer referrals. We know there are many auto repair services out there, so we go the extra mile to build lasting relationships with the people we assist. 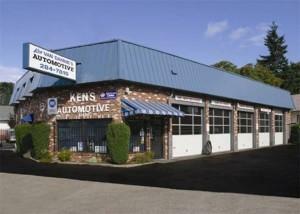 We offer experience, guarantees that stand behind our auto repair work, and upfront, transparent estimates. We want you to feel confident when coming to us for muffler repair or any other type of car repair service. Our muffler repair diagnostics and ASE certified car mechanics work smart to keep your costs low. Labor and parts come with a guarantee, so you can drive away with peace and quiet, as well as peace of mind. Contact our Portland muffler repair technicians today. If you need muffler repair in NE Portland, contact one of our experienced exhaust system mechanics. We offer premier muffler repair service, working directly with you to ensure you are well-informed every step of the way.